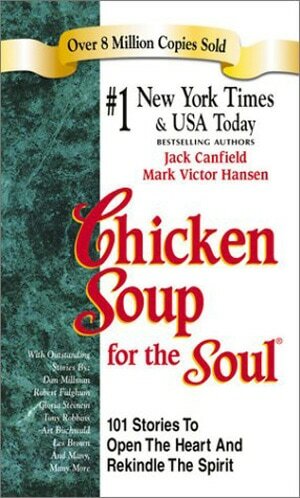 Founder and Author of the Chicken Soup For The Soul Series, Entrepreneur, Motivational Speaker, Philanthropist. 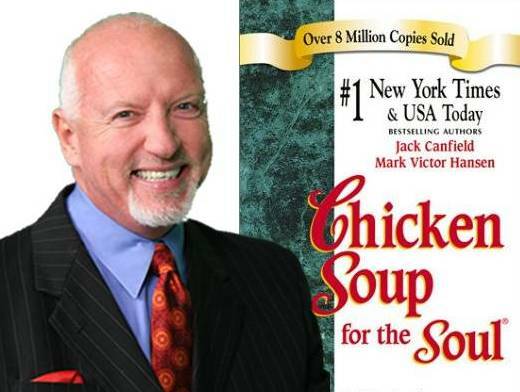 Mark Victor Hansen founded and co-created the Chicken Soup for the Soul series among others, which in total have sold over 500 million books. With over 305 best sellers, he has spoken to over six million people around the world at over 5,000 events. He is a successful business owner with companies in the USA and China. He is a passionately dedicated philanthropist, recipient of the prestigious award Horatio Alger Award for Distinguished Americans, and the Sales Marketing International Salesman of the Year Award. Mark has also been awarded eight honorary doctorates from prestigious universities. In addition to his varied business accomplishments, Achievers International recognizes Mark as one of the top five speakers in the world based on their worldwide survey. Mark has hosted two number one infomercials that were viewed over two years by over ten million people per day. The Mark Victor Hansen Foundation is dedicated to helping young people become financially literate and turn their entrepreneurial dreams into business achievements. Mark is universally known for his 40-year career as a professional inspirational and educational speaker. He is a founding member of the National Speaker Association (NSA) and achieved the coveted designation as a Certified Speaking Professional (CSP). Mark Victor Hansen looks at leadership as having the unwavering ability to not look at the world as it is, but as it can be. Leadership is about discovering what is inevitable, transformative, and in alignment with all the resources; and using them to prosper greatly now. The wisest man of all time, Solomon said: “Without vision people perish,” Mark says: “With vision people, companies, and associations flourish, grow, expand and vastly improve immediately!” Mark enlightens his audience about achieving the qualities of limitless vision to achieve their ultimate potential, creating practical, measurable progress by elevating everyone’s successes. Mark understands from leading his own empires, that the gold standard of leadership is leaders that consistently and effectively re-invent themselves and their organizations. He inspires everyone to fulfill their destiny and fully utilize their potential, starting by overcoming all obstacles, challenges, and resistance. One must master the fine art of self-leadership, so they can lead all others. Mark discusses the principles that work and are time tested and those that don’t work in business and in life. Attendees quickly take ownership and mastery of the four great principles of leadership. He will show that all great leaders are focused. They are insistent, consistent, and persistently passionate and purposeful. Mark has proven to audiences worldwide, that every person can foster and embrace a magnificent obsession to achieve beyond their limitations, no matter what. • Mastering the comprehensive awareness of leading edge thinking. • Growing your fan base through niche marketing. • Delivering two minute irresistible presentations. He shows you how to have clients that become lifelong friends/ supporters that only recommend and refer you and your company. Mark teaches the techniques for turning problems into profitable solutions, and transforming objections into testimonials. Selling isn’t about hawking your products, but instead about creating relationship equity with people who will joyfully be a dedicated fan and user of your products for a lifetime. This experience with Mark will elevate your thinking and techniques in sales to levels you couldn’t have imagined were possible. Building Enterprises that Expand Humanity’s Potential and Your Businesses’ Global Footprint Mark teaches that Social Entrepreneurship starts with the idea of doing business, which creates more than enough for everyone by building enterprises, dedicated to doing just that. Nobel Prize Winner, Dr. Yunus invented Social Enterprise and Entrepreneurship with Micro-Credit and Micro-Finance. Mark has expanded it to be useful to every business, company, and association to vastly multiply its respective effectiveness and imprint on the world. With Mark’s vast experience working with audiences and people around the world, he believes that everyone has a soul level need to contribute and give back; thus, creating legacy wealth and a heritage worthy of remembering. Whatever is given comes back multiplied, magnified, and magnetized. He teaches that social entrepreneurship signals the imperative to drive social change, and it is that potential payoff, with its lasting, transformational benefit to society, that sets the field and its practitioners apart, opening gateways to a much bigger global presence for every business. Like most entrepreneurial endeavors, social enterprises start with an innovative idea that has the potential to solve a community or societal problem. Mark teaches that as we create more abundance, more individuals will be willing to take on the risk and effort to create positive changes in society through their initiatives Social Enterprise is the gift that truly keeps giving. "AWESOME, INSPIRING, DYNAMIC, MOTIVATIONAL!" Our Managers and Consultants came away from your session with a renewed sense of drive and determination...I especially want to thank you for taking the extra time to learn more about our organization to customize a program to fit our very specific needs." RITA DAVENPORT, ARBONNE INTERNATIONAL, INC.